Manna Bistro & Bakery of Centreville, VA is a favorite Ethiopian restaurant for both vegans and meat lovers with its authentic Ethiopian cuisine. All of our foods are prepared with imported Ethiopian spices blended daily. Our produce is always fresh and our sauces are prepared as ordered and when available all organic. The friendly staff and warm decor makes Manna the perfect place to relax with family and friends. Ethiopian meals are traditionally served on a large, round platter of sour injera bread topped with various cooked vegetables, a hard-boiled egg, and stewed beef, chicken, or lamb. Injera is a gluten free, white leavened Ethiopian bread made from teff flour. Injera is eaten with the hands by tearing off pieces from extra injera bread and scooping up the toppings. Just ask, and we’ll show you how! freshly baked muffins, scones, bagels, breakfast tacos. Very good food and friendly service. Highly recommended. Thoroughly enjoyed my first Ethiopian cuisine experience here. Manna Bistro & Bakery of Centreville, VA is a favorite Ethiopian restaurant for both vegans and meat lovers with its authentic Ethiopian food. All of our foods are prepared with imported Ethiopian spices blended daily. Our produce is always fresh and our sauces are prepared as ordered. 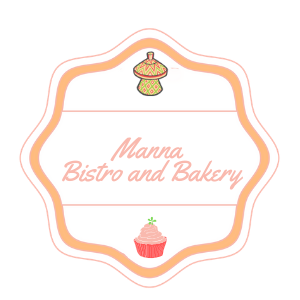 The friendly staff and warm decor makes Manna the perfect place to relax with family and friends.